Inverters are used as emergency backup when there is power outage. It turns on the electrical appliances when the main supply is off. The function of an inverter is to convert Direct Current (DC) into Alternating Current (AC). DC is the current produced from the battery or solar panel. The DC cannot be carried to long distances this is one of the reasons to use AC current to run the main electricity supply. The electrical equipments at home run on AC current that comes from the main power supply. DC flows in one direction while with AC you can experience rise and fall. Inverter supplier in Chennai educates the customer on amp output to make it easier for them to choose the right inverter for their needs. As said inverter makes AC from DC power source and passes it through a transformer to change the voltage output. 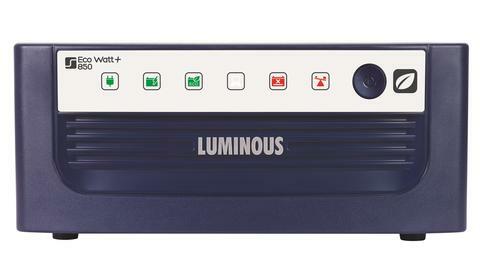 In this connect pure sinewave inverters produce waveform to match the destination power source. While other inverters provide just an estimated sine wave output and it is called modified sinewave. Most inverters come with in-built battery charger. When the main supply is on the battery is in charge mode. A specially designed glass Absorbed Glass Mat (AGM) is used to wick the battery electrolyte in between the two plates. It contains sufficient liquid to wet the mat and when the battery is broken free liquid is not leaked out. Gel Cell is a silica type gel used to suspend the battery electrolyte. The thick paste facilitates easy flow of electrons between the plates and ensures there is no leak from the battery in case it is broken. Sometime the two are confused as they have similar traits. Both are non spillable, can be mounted in any position, deep cycle, non spillable, safe for use even in restricted ventilated areas, low self discharge and can be easily transported via land or air safely without the need for special handling. AGM batteries are more popular when compared to Gel Cell and they sell in the ratio of 100:1. AGM is preferred due to its high sustenance of amps. The recharge is accomplished using a superior quality standard battery charge or an engine alternator. The life expectancy of the AGM battery is higher when compared with Gel Cell. The sinewave inverter power supply comes with an output waveform matching the conventional main power. The appliances when on inverter should run normally. The modified sinewave inverter uses square wave output. The pulse duration is adjusted to match the load demand. They are suitable for most applications but can make the motor hot while running and is not suitable for high power requirement appliances like refrigerator, air conditioning, home water pumping motor and similar devices. Another problem confronted with modified sinewave is that it can turn laptop or small battery charger hot while on charge. Moreover there are some issues with timers, speed controllers and other equipment. In the case of True sinewave inverter there are no such snags but it comes at a higher price tag. The inverter must be adapted to connect to various other power sources for this the distribution systems must be separate or switch through a transfer switch. This can be either manual or automatic. Boat inverters are covered under the ABYC standard A-31defining inverter as a device, designed to provide AC current from DC, powered by batteries to a required voltage and frequency. As per the thumb rule defined for 12 volt DC inverter delivering 120 volt output is the amp taken from the DC side is estimated to be 10 times more than the AC side amp output. Inorder to get 120 volt AC power to an appliance drawing 8 amps the inverter take 80 amps from the 12 volt battery bank. This makes it apparent that large battery banks are needed to provide the real power for an extended time. Moreover, batteries last longer if more than 50% is not drawn. Say for instance to run an appliance for a time span of two hours you need 160 amp hours, to prevent battery down it is important to have atleast 320 amp hours in the battery bank for seamless operation of the device without causing any damage to the appliance or the inverter.